2. 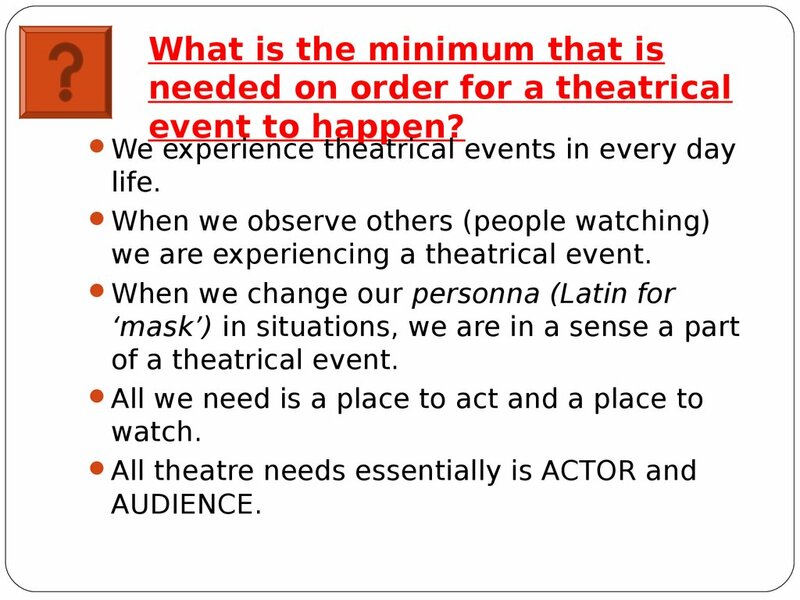 What is the minimum that is needed on order for a theatrical event to happen? we are experiencing a theatrical event. 3. 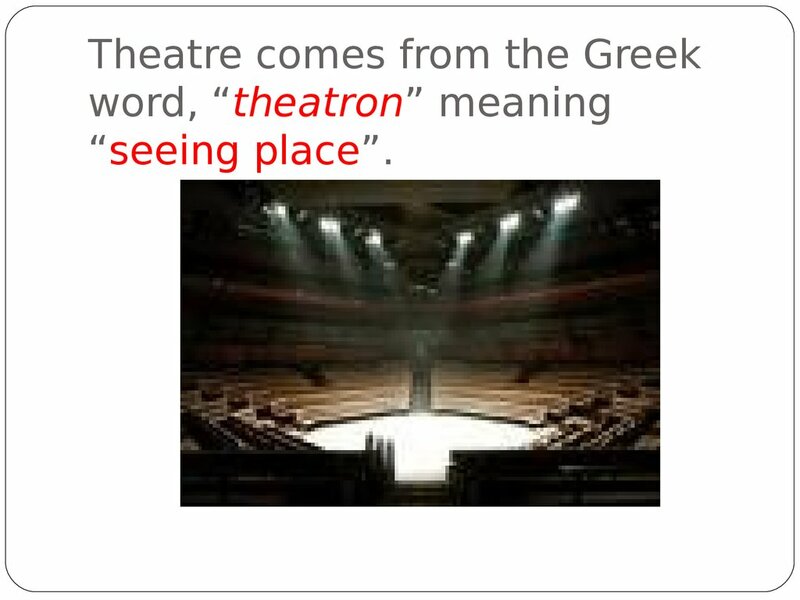 Theatre comes from the Greek word, “theatron” meaning “seeing place”. 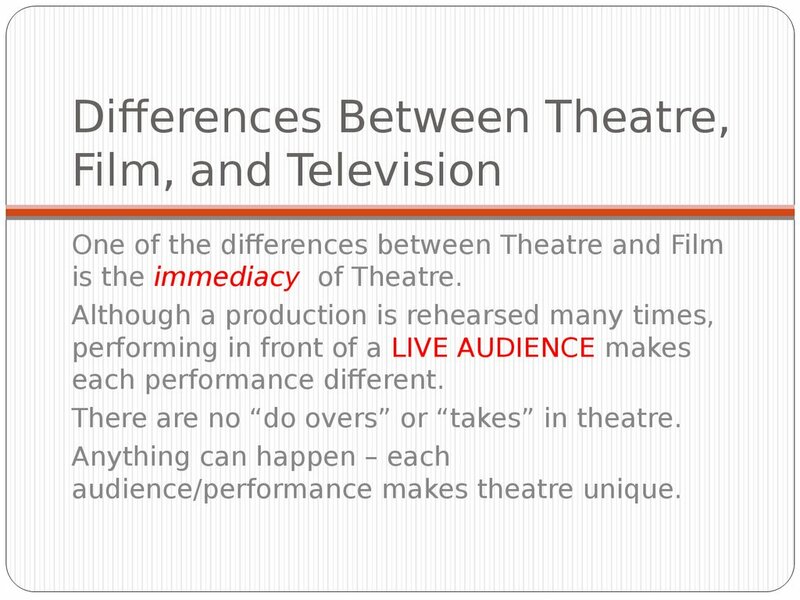 is the immediacy of Theatre. 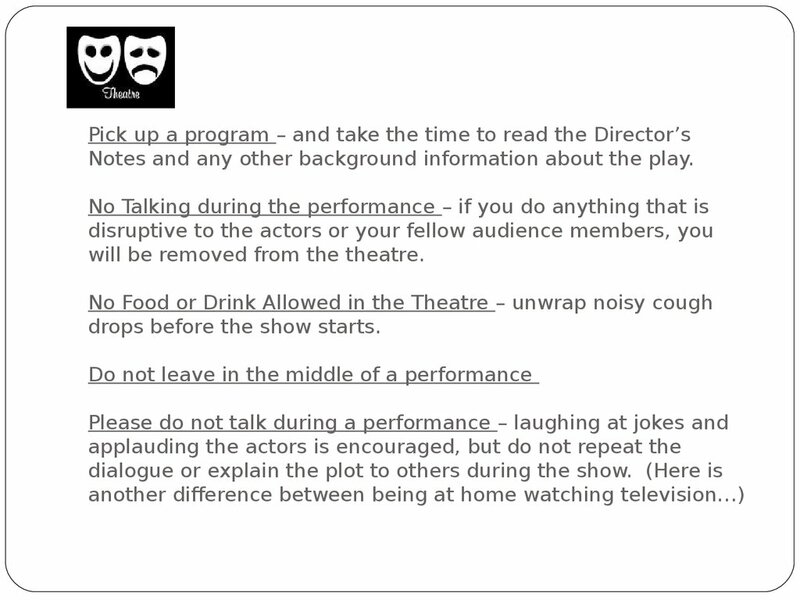 There are no “do overs” or “takes” in theatre. 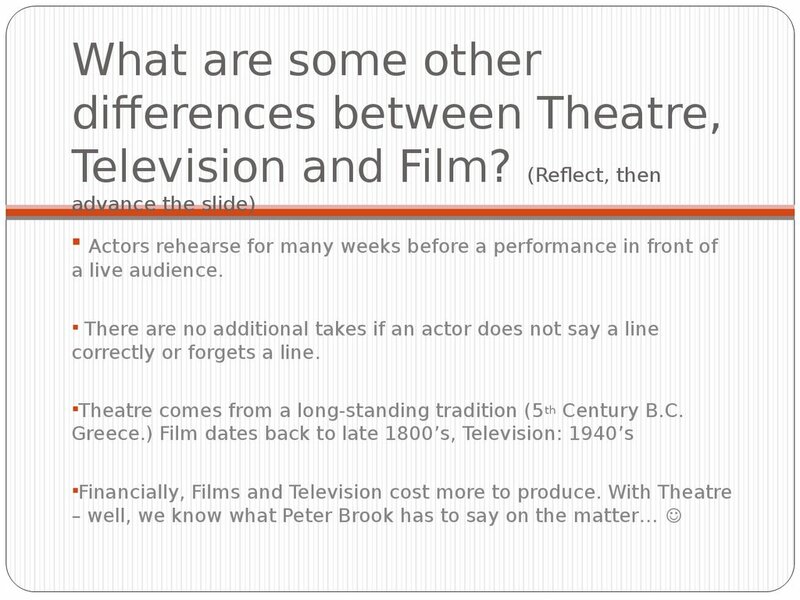 correctly or forgets a line. 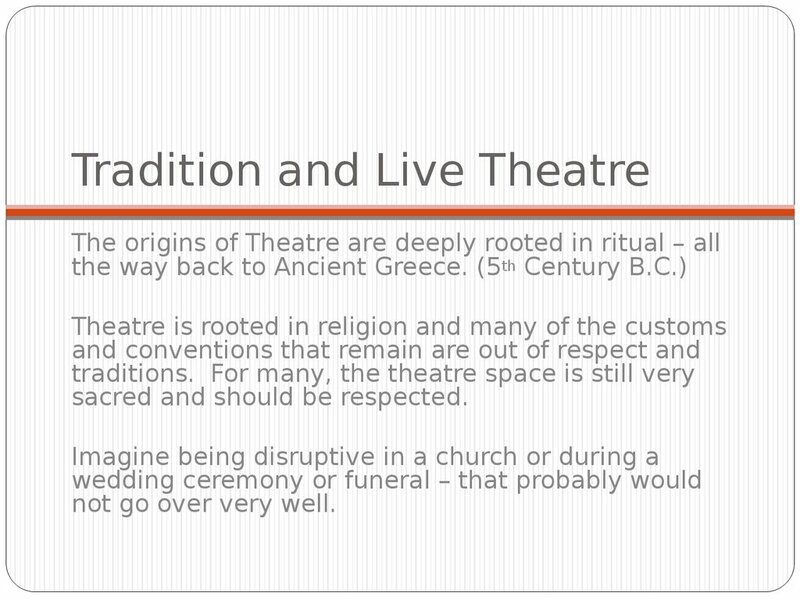 Theatre comes from a long-standing tradition (5 th Century B.C. fellow audience members to enjoy the play. 9. 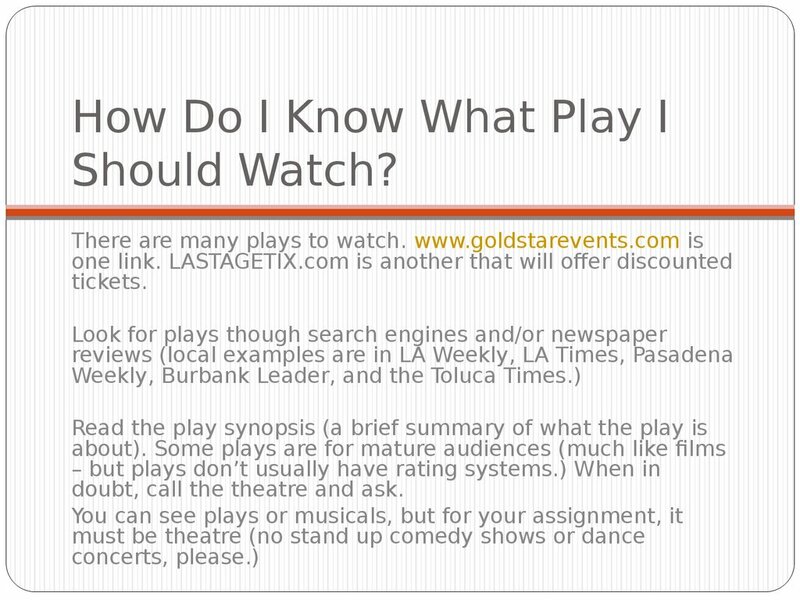 How Do I Know What Play I Should Watch? doubt, call the theatre and ask. 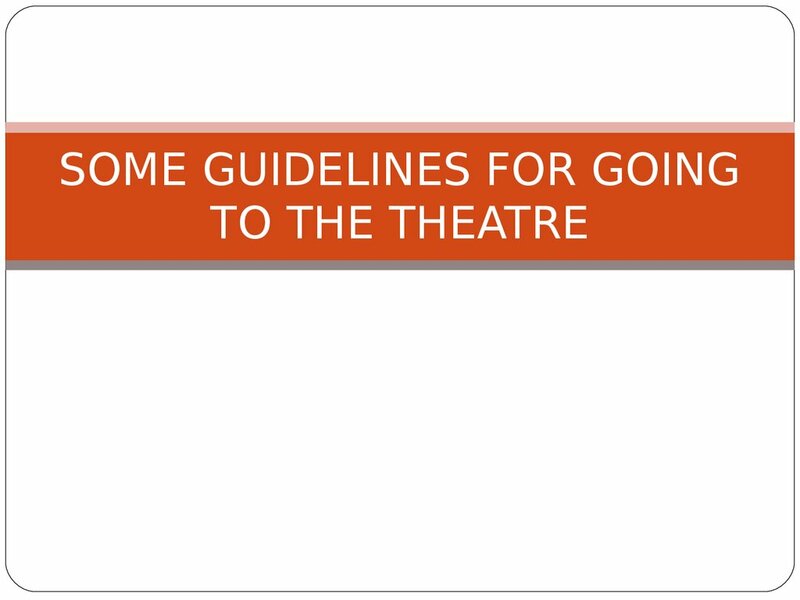 drink is not permitted in the theatre). text messaging, no vibrating phones. 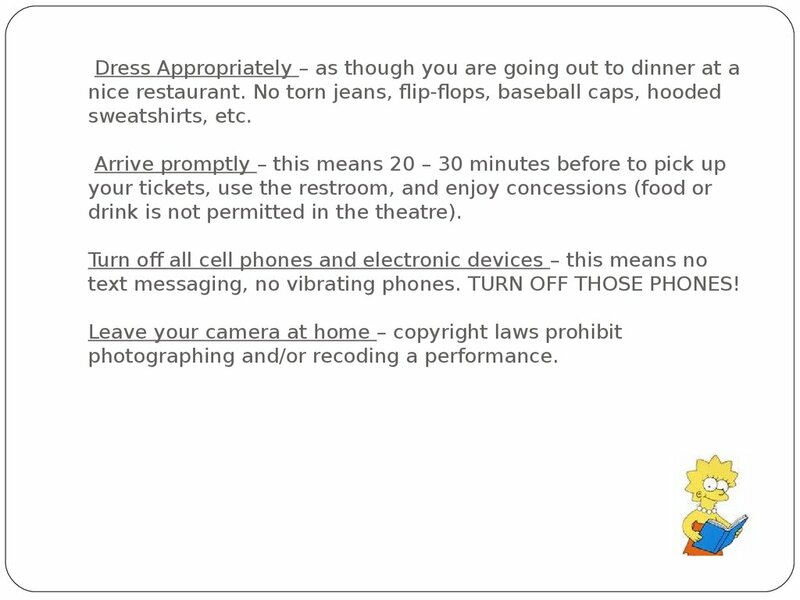 TURN OFF THOSE PHONES! 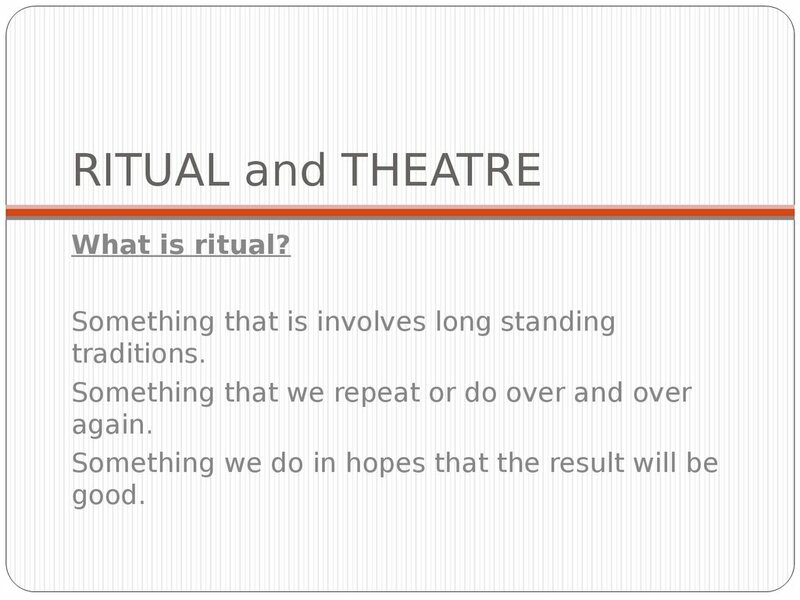 photographing and/or recoding a performance. 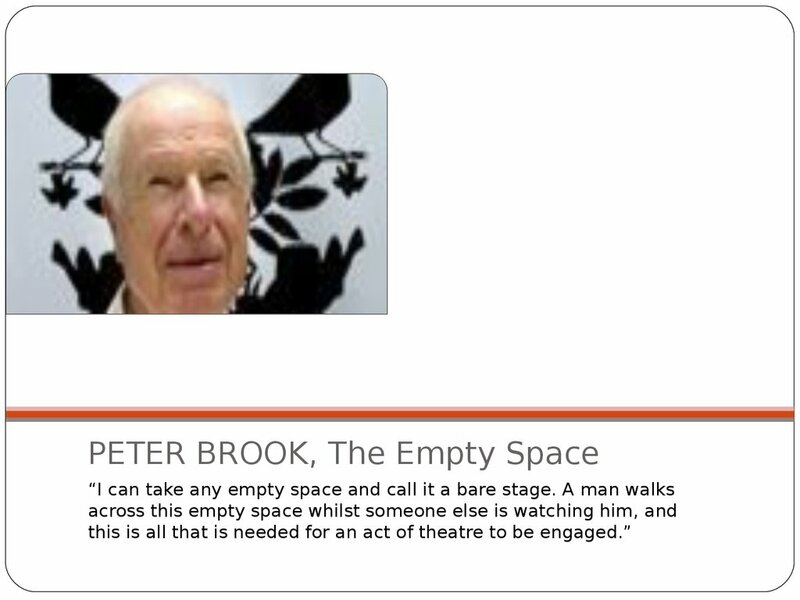 be removed from the theatre. drops before the show starts. 13. 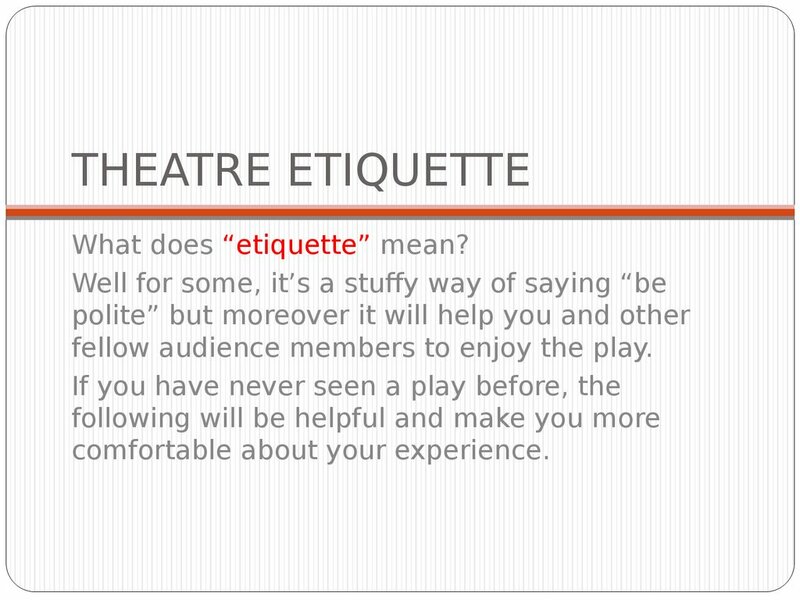 Please respect the space – no feet on the seats or draping your legs over the seat in front of you – do not walk on seats to get to yours (yes, some have done this very disrespectful move!) 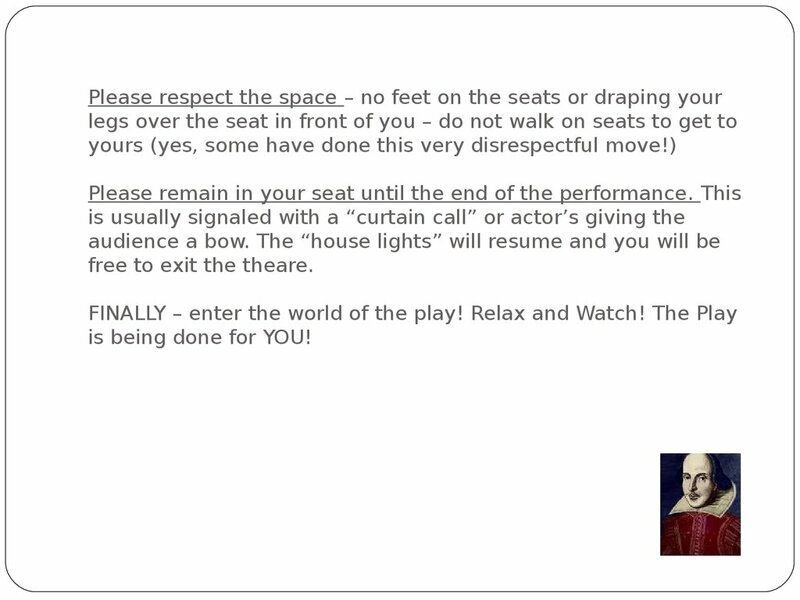 Please remain in your seat until the end of the performance. free to exit the theare. is being done for YOU! 14. 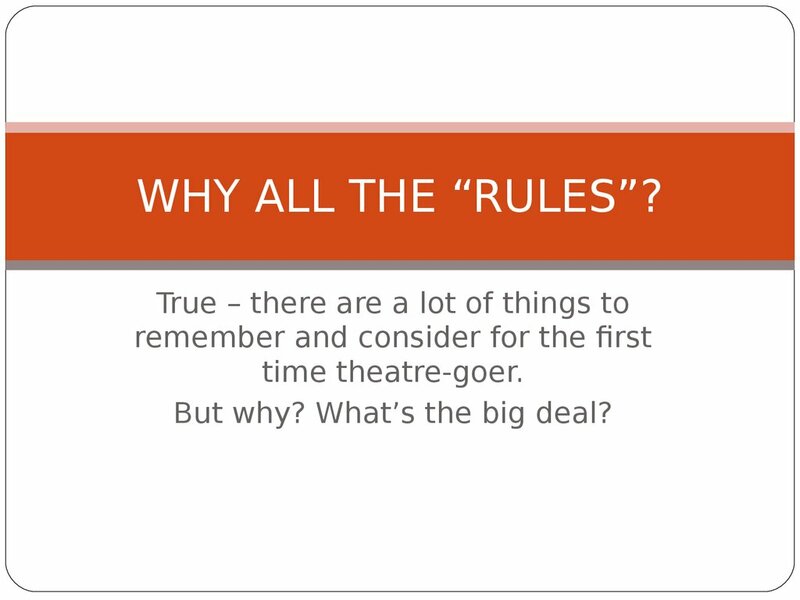 WHY ALL THE “RULES”? But why? What’s the big deal? and notice EVERYTHING including your response. 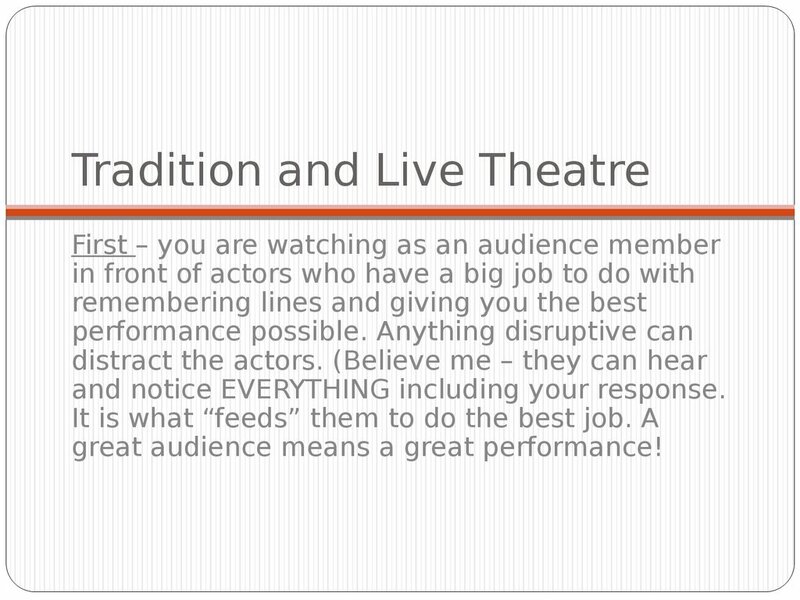 great audience means a great performance! sacred and should be respected. 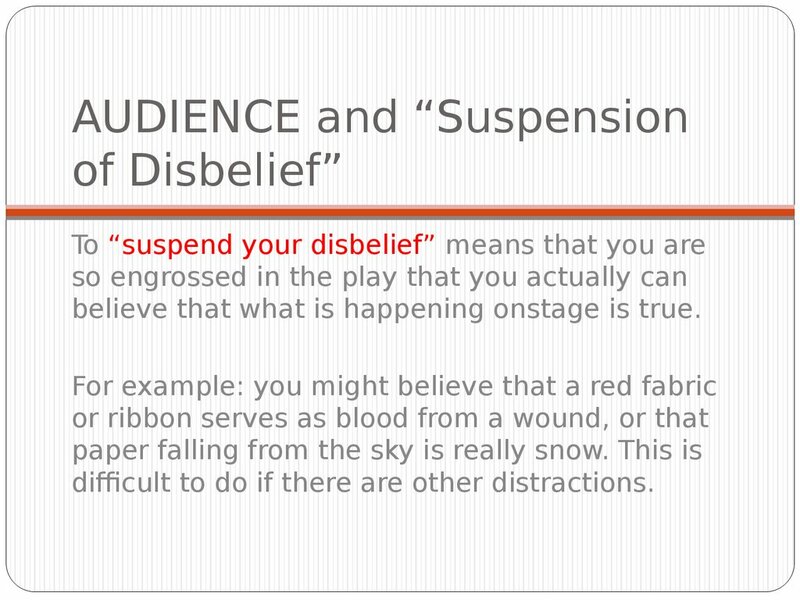 believe that what is happening onstage is true. 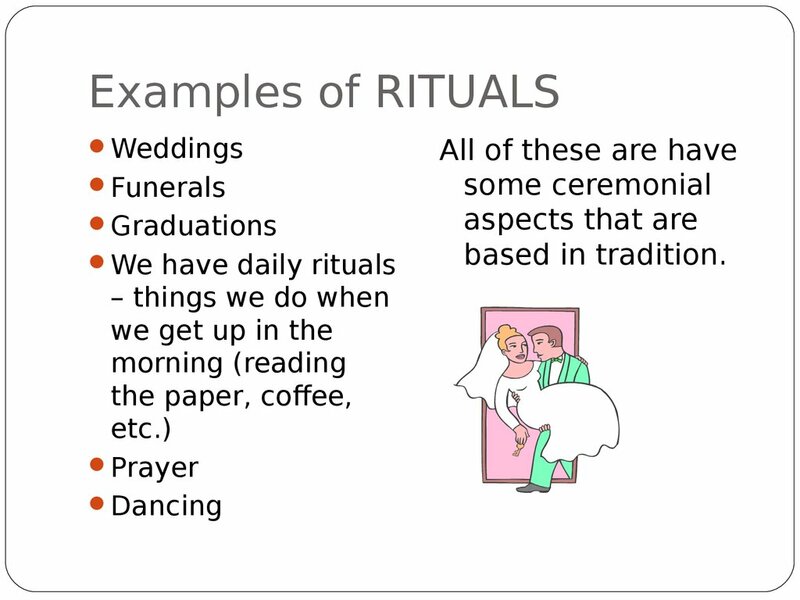 difficult to do if there are other distractions. 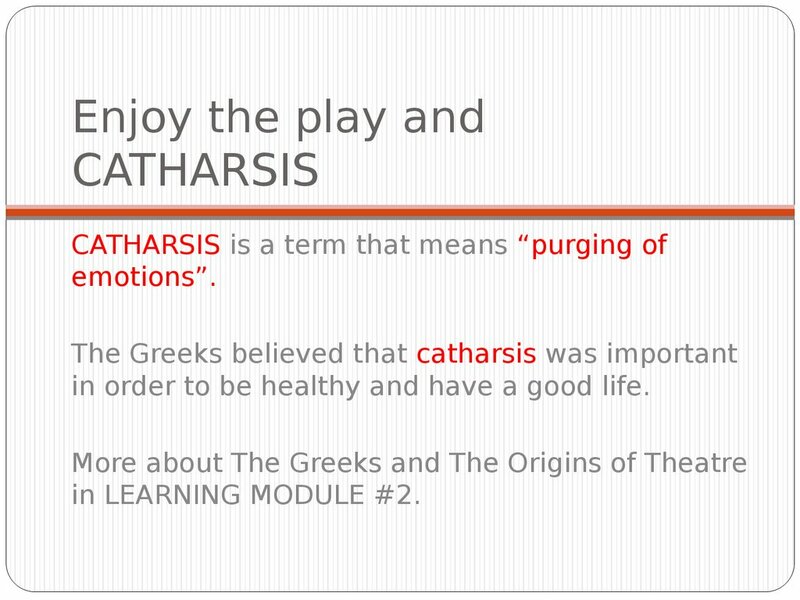 in order to be healthy and have a good life. 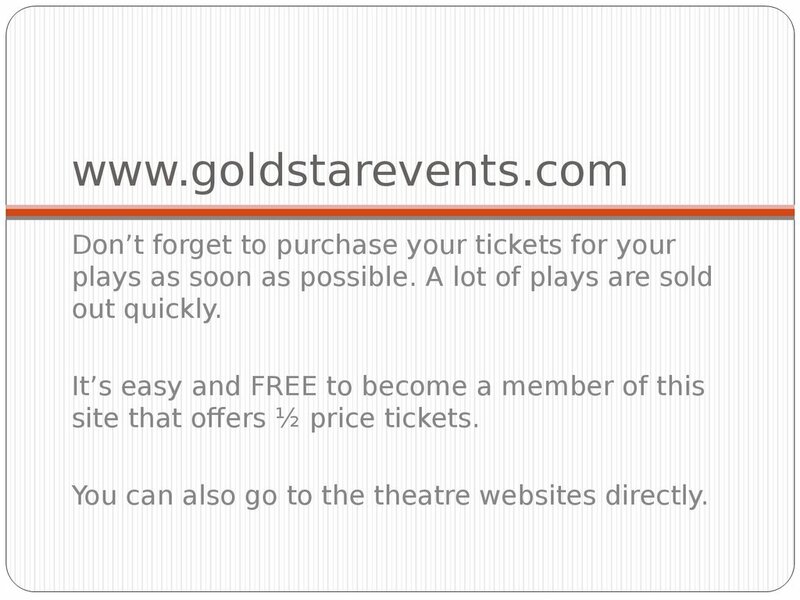 site that offers ½ price tickets. You can also go to the theatre websites directly. 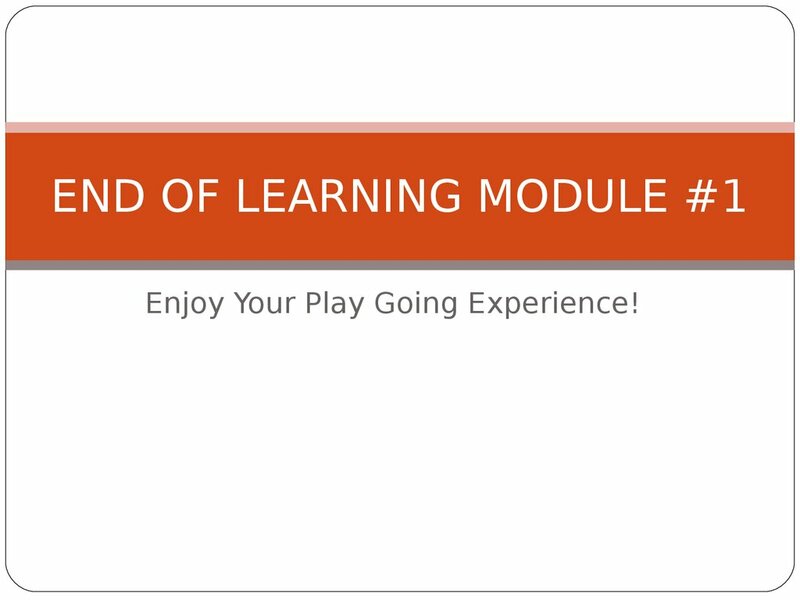 Enjoy Your Play Going Experience!